Lava is a Indian based company established in 2009 and it has become one of the most popular brands of India. It has been famous for producing low cost mobiles with high end features. Thus it has become the top contender in smartphone world. 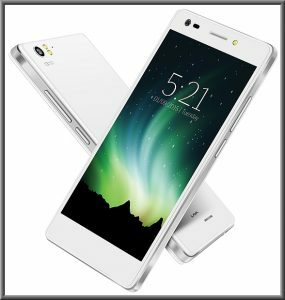 It has released a new smartphone called LAVA V2 in March 2016 and it has got some exceptional features and specifications at a affordable price. Here is all about the new gadget LAVA V2. LAVA V2 has got some awesome specifications, it comes with a 5.0 inch long IPS LCD capacitive touch screen display with a resolution of about 720 x 1280 pixels and ~294 ppi pixel density. It is mechanized with a 3 GB RAM and 1.0 GHz quad core processor for faster and multiprocessing of different applications with ease. LAVA V2 is featured by a 13 MP primary camera with a auto focus LED flash and a 8 MP secondary camera to capture selfies. This phone is provided with 16 GB internal free memory space for storing different applications and it can be expanded up to 32 GB using a external microSD card. This new smartphone is built on a latest Android 6.0 Marshmallow operating system and it is powered by a 2500 mah powerful battery for long running of battery. This phone measures 141.6 x 70.8 x 7.6 mm dimension and weighs about 128 gms. As far as the connectivity options are concerned it has Wi-Fi, GPS, Bluetooth, FM and 3G options and it has dual sim facility. It also include the Proximity, Accelerometer, and Gyroscope sensors on it. As mentioned above, with all the specifications and features it costs about RS. 9,799 only. It is available for sale in all the E commerce websites and also in all the nearby stores and outlets.